Clayton West is a village in Kirklees, next to Scissett and climbs the hill from Wakefield Road towards Barnsley. It is 9 miles (14 km) southeast of Huddersfield and 7 miles (11 km) northwest of Barnsley. There is a village store, a few pubs and a handful of hairdressers. The a primary school and nursery is called Kayes First and Nursery School, which was built in 1862. The village used to have a railway station on a branch of the Penistone Line. However the station along with Skelmanthorpe was closed in 1983. The Kirklees Light Railway now operates trains from the former station. Clayton West was occasionally used as a location for Britain’s longest running comedy series Last of the Summer Wine, in which one of the village’s four pubs, “The Shoulder of Mutton” in Church Lane, features prominently. 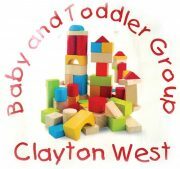 What's on in Clayton West?